The Cherry Orchard, by Anton Chekhov. Dir. Vladimir Sergeyevich Petrov. Venue: Central Academy of Drama, Beijing, China. Company: Faculty production. Premiere: September 9, 2014. The Central Academy of Drama in Beijing has an idea more conservatories might adopt: have your teachers—all professional actors—perform together in a full-length production open to the public. When we entered the theatre, there was an enormous white backdrop hanging from flies to stage floor, covering much of the of the stage’s width. Projected on it: an unusual photograph of Chekhov in formal clothing, standing in an informal, even jaunty, at-home pose. Tensions between formal and informal, and the mixing of periods and styles, surfaced repeatedly in what followed. Period costumes, for example, were punctuated with here a contemporary necktie or sneakers, there an evening gown; scene changes were accompanied by songs in French and something vaguely Arab-sounding; and even an “OK, OK” was interpolated into the text. In contrast to the backdrop, so elegant and unsettling, there was a row of large, rough, rather lumpy burlap bags every few feet along the stage’s downstage edge. They were, well, informal. These were the set; there was no suggestion of a cherry orchard in view. The bags were used inventively in different combinations, carried from place to place to form playing areas, allowing the actors to sit, kneel or lean on them, giving each stage picture a variety of head levels. After that, the production had a pleasant wandering quality, but it wasn’t always clear whether that was intentional. To some extent, the play text does seem like a sequence of fragments compared to, say, Chekhov’s Uncle Vanya (1897), which is driven by its plot; The Cherry Orchard (1903) is more like a collection of encounters around the theme of change, where “change” means loss to some and freedom to others. 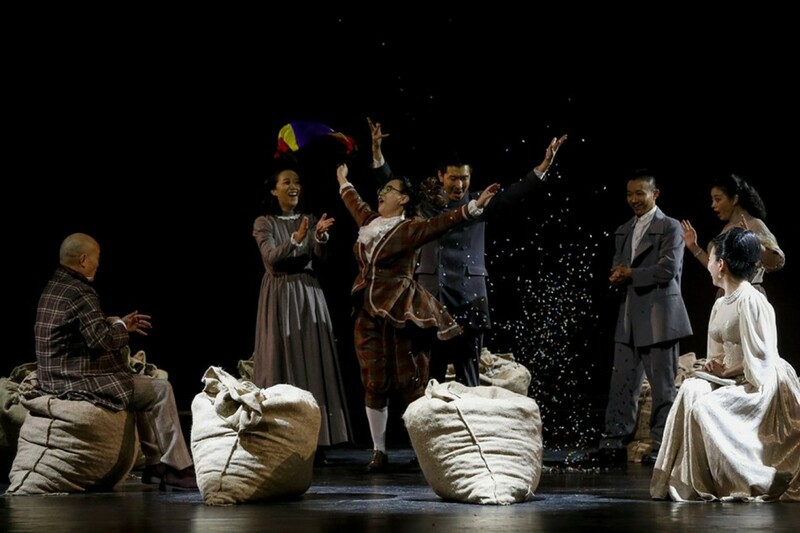 This seemed to be the spirit of the Beijing production. At the play’s core is the passing of a way of life, and Chekhov paints it in impressionistic strokes, more Monet than Manet. At issue for any production of this play is the tone. Key figures involved in the original Moscow production (1904) were divided as to whether the play was more comic or tragic, and there are two veins in the critical literature. One vein focuses on Chekhov’s own remark that the play was “gay and giddy,” and on the sad moments that are so often interrupted by silly ones—joking, teasing, dancing. Others point to the poignancy of losing a childhood home, and to the imminent scattering of the people whom the home no longer supports, financially or emotionally. Without the benefit of explanatory Director’s Notes (or programs or surtitles), it’s tempting to guess that Russian director Vladimir Sergeyevich Petrov wanted to make the play “gay and giddy.” The scenes tripped along, like smooth stones skipping on the surface of a placid lake. The haunting sound of the breaking string, which arguably catapulted the dramatic art into the modern age, was cut out. The role of Charlotta, the play’s force of chaos, was either somewhat cut or underplayed. 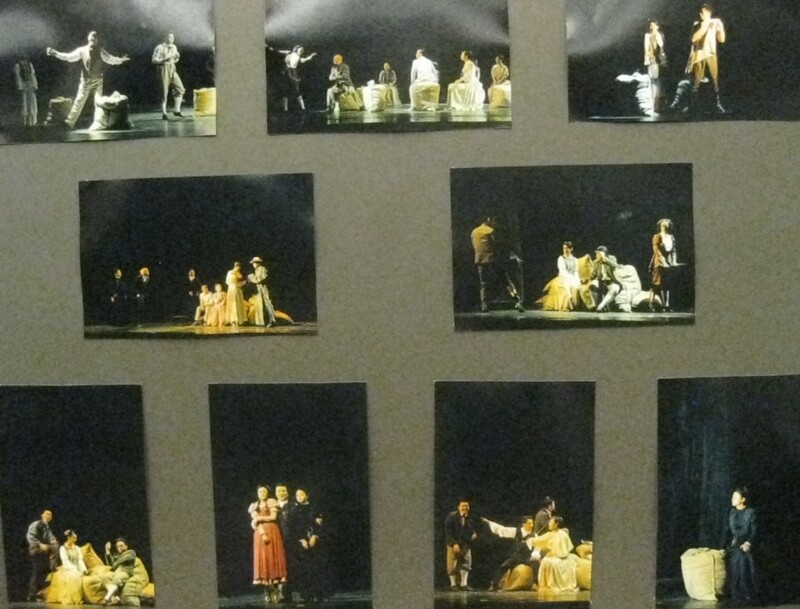 Where Stanislavsky achieved intimacy in his 1904 production by introducing “the fourth wall,” so that the actors addressed each other in “realistic” space, Petrov achieves a comic lightness by having the actors often play “frontally,” facing the audience. Firs, the faithful aged servant, laughed to himself throughout, as if harboring a fund of cheerfulness within, and the sounds of chuckling and giggling were a significant part of what we heard from all the characters. But it is hard to square this bright tone with some of the facts of the play, especially regarding the role of Ranyevskaya, mistress of the sinking ship that is her family’s estate in foreclosure. 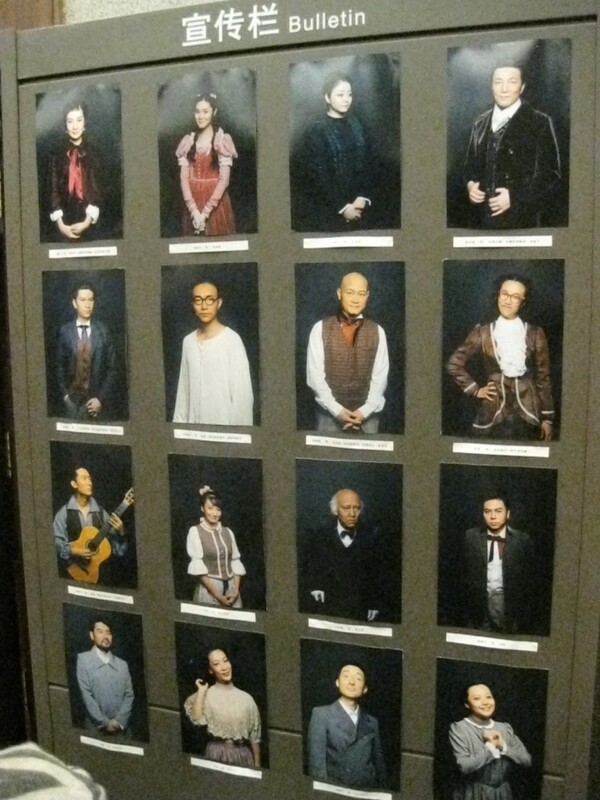 This role was played by the regal Hao Rong, Head of the conservatory’s actor training, who appeared to find everything positive in her character’s situation. After all, Ranyevskaya has already been away for some years, so that her attachment to the estate is only sentimental, to her past; she is about to return to a lover who is pleading for her in Paris: why not tie up loose ends here and let the young people move on in life? The student Trofimov, eager to jettison the estate in the name of Progress, cries, “Forward! Don’t fall behind, friends!” and Ranyevskaya’s young daughter, Anya, replies, “Why is it that I don’t love the cherry orchard as I used to?” Indeed, the production seemed to argue, who really needs the cherry orchard, anyhow? However, this choice didn’t give the actress much to do, and her delivery was oddly flat, the Chinese language’s tonal melody notwithstanding. Ranyevskaya’s only son had drowned here (we saw his ghost—a directorial choice I’d never seen before); she’s been brought back to Russia following her suicide attempt. We may want Ranyevskaya, and everyone else, to enjoy the show’s party atmosphere at the end, replete with confetti, but the sorrow in the lines keep getting in the way. Even in Chekhov’s stage direction, when Ranyevskaya and her brother (Gayev, Stanislavsky’s role) are left alone, “they embrace each other and sob quietly.” This show ended with the full cast singing together with a guitar, à la Bob Dylan—connecting the play’s story to modern times, or perhaps signaling something politically-tinged that I wasn’t meant to understand. 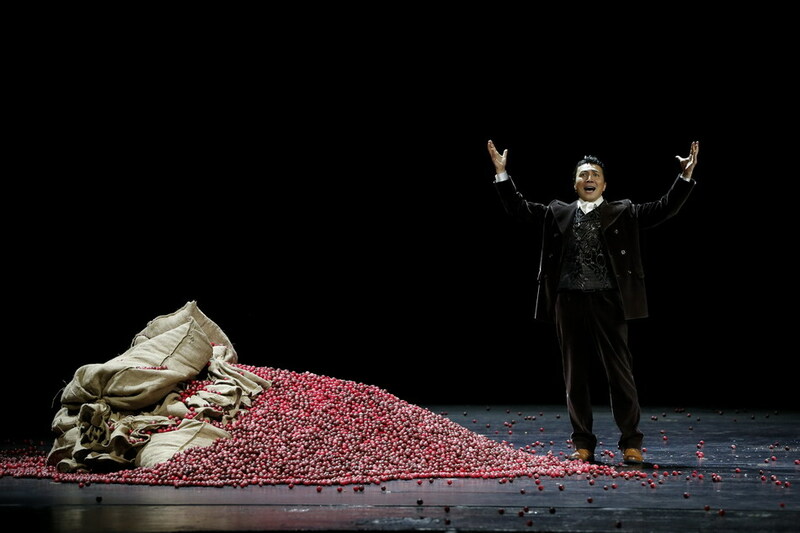 For all the Beijing production’s accomplishments, I sorely missed the cherry orchard, not just as a central metaphor for impermanence, but as a physical presence of loveliness and the visual meaning it gives the characters’ actions. As Ranyevskaya says, “I love this house—I can’t imagine life without the cherry orchard.” At a climactic moment, the burlap bags were opened and out spilled a multitude of plastic cherries that hit the stage floor with an artificial sound no one could possibly associate with fruit or flower. The simple, flexible set design was certainly striking—but it’s safe to say that Chekhov, a famously passionate gardener, could not have imagined a Cherry Orchard without a cherry orchard. Nevertheless, the production did both play and audience a service by pushing against the text to see how it would behave: it had a bright spirit. See an expanded version of this review in http://www.scene4.com/archivesqv6/2015/apr-2015/0415/lissatylerrenaud0415.html. 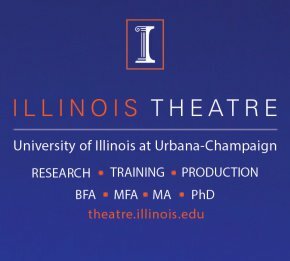 Lissa Tyler Renaud (M.A Directing; Ph.D. Theatre History/Criticism) is director of InterArts Training (1985- ). 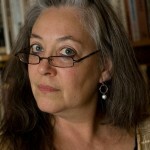 She has been visiting professor, master teacher, speaker and recitalist throughout the U.S. and Asia, and in England, Russia, Mexico, and Sweden. Renaud was editor of The Politics of American Actor Training (Routledge 2009/2011); under Yun-Cheol Kim, she was founding editor of Critical Stages 2007-2014; she was senior editor for the Wuzhen Theatre Festival, China in 2014. See her invited chapter on Stanislavsky (Routledge Companion to Stanislavsky, 2013). 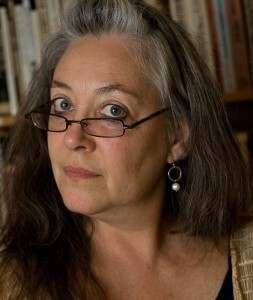 Renaud is longtime Senior Writer for Scene4 international cultural magazine.